This action figure includes a build-a-figure piece to build your own Springtrap action figure! Your favourite characters from Five Nights at Freddy's are now awesome articulated action figures! 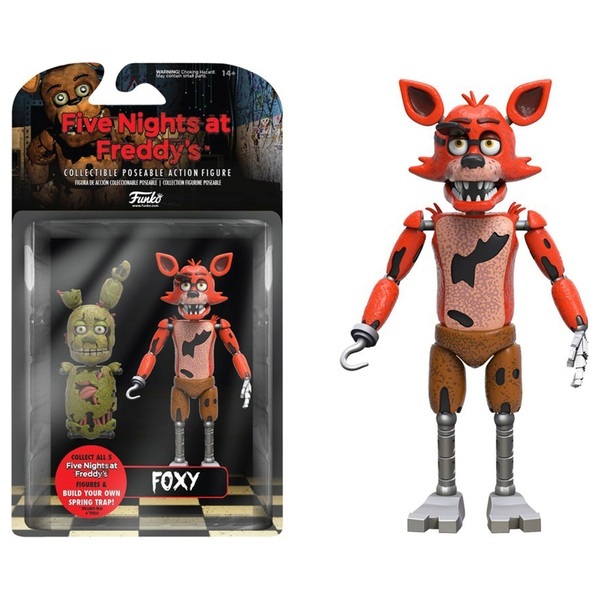 This Five Nights at Freddy's Foxy 13cm Action Figure features Freddy Fazbear's pirate fox friend! This action figure includes a build-a-figure piece to build your own Springtrap action figure!